In August, the World Bank announced a new sovereign catastrophe risk insurance programme in the Philippines, which provides $206 million worth of aggregate coverage for federal government assets from earthquakes and typhoons, as well as providing typhoon insurance for 25 provincial governments. The Bank noted, “Under this new program [the] government-owned insurance agency Government Service Insurance System (GSIS) will provide catastrophe risk insurance to the national government and the participating provinces.” As an intermediary the Bank will act “to transfer GSIS’s risk to a panel of international reinsurers”. 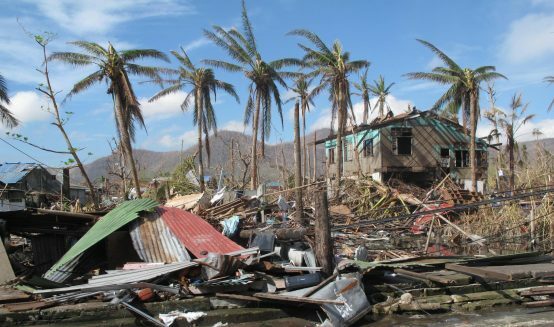 The Philippines suffers an estimated $3.5 billion in damages from typhoons and earthquakes annually, and the World Bank stressed that the new programme is, “the last line of defense against severe natural disasters and complements other funding sources.” Pay-outs under the scheme are based on parametric triggers. A World Bank spokeswoman noted in an email to the Bretton Woods Project, “Because it relies on parametric triggers, pay-out as estimated by the catastrophe risk model may not perfectly match the actual damage,” adding that the premium cost to the Philippines was $19.5 million. The one-year programme began on 28 July. The programme marks one example of the Bank’s promotion of climate insurance over the past decade, as part of a wider approach focused on leveraging private insurance and investor markets to increase ‘pre-arranged’ disaster risk financing. The Bank has provided technical assistance for the Caribbean Catastrophe Risk Insurance Facility (CCRIF) and the Pacific Catastrophe Risk Insurance Company (PCRIF) – which are pooled insurance schemes providing coverage for government assets of island nations in both regions. The Bank has also promoted micro-insurance coverage from climate hazards through the Global Index Insurance Facility. These efforts have been supported in recent years by the G7’s InsuResilience initiative, which was founded in 2015 with the aim of bringing climate insurance to 400 million people in the developing world by 2020. At July’s G20 summit, national leaders (excluding the United States) vowed to build on the G7’s efforts, forming a Global Partnership for Climate and Disaster Risk Finance and Insurance Solutions. The World Bank was also announced as a key partner in the new UK-based and Department for International Development (DFID)-funded Global Disaster Protection Centre in July. The centre will bring “together experts from finance, science and humanitarian communities to provide neutral advice and design new, innovative financial tools – including insurance – that are right for disaster planning and deliver the most benefit for the poorest when disaster strikes”. Climate insurance: a just policy? 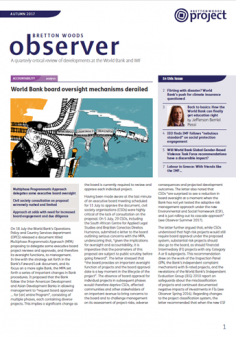 Further questions about the World Bank asserting that climate insurance based on parametric triggers is a vital form of DRR financing were raised by Malawi’s experience in 2016 with its drought insurance policy held under the African Risk Capacity (ARC) – a pooled climate insurance scheme, which although not facilitated by the World Bank operates on the same principle of model-based pay-outs. As highlighted by an ActionAid International report in May, despite severe drought in the country affecting 6.7 million people, ARC’s model did not initially yield a pay-out, meaning Malawi got no return on its $5 million premium. The report noted, although “uproar at ARC’s decision that no pay-out was warranted was eventually followed by agreement in November  to pay Malawi $8 [million],” the payment did not arrive until January – well after funding was urgently needed to respond to the country’s humanitarian crisis.